With this being an Olympic Season, I thought I'd hand out medals to the top 3. Great job everyone! 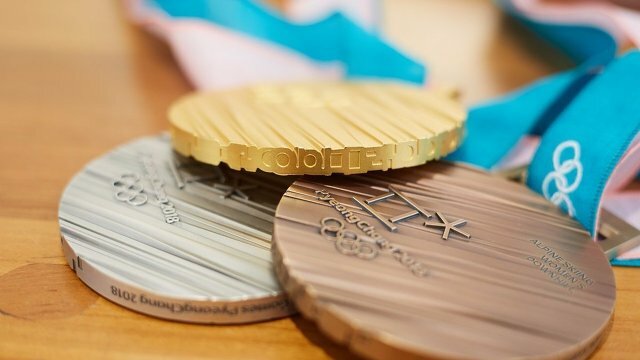 Here's the back of the PyeongChang Olympic medals for whoever's curious. Good stuff DH and The Bullies. I looked at your season stats and that was a close one. The Bullies made a strong push for 1st with their UFC Orlando stats. We defended our LHW title that's 2 seasons in a row!!! The bullies made a good push in the end, especially those last couple events. It finished off as a competitive season. At least you got to walk away with a Bronze medal, JLS. Did you wear yours around your neck at the closing ceremonies? I wore my Gold. Congrats FKA and Team Global MMA on going back to back at LHW! Best of luck in keeping your streak going. Fun event to end the season off. Albeit with some controversy in the main event. Not going to lie though. I'm happy it was Stephens coming out with the W.
Only 4 camps at HW now & a mere 2 at LHW... maybe they should be merged. LHW “champs” in the division with now 2 would’ve ranked 4th of 6 if they were merged with HW. That is what is shows now, but HW 4th is blank & I don’t see Canadian Power Team anymore. I think at least a few camps just disbanded. I can run it by the person that can make those decisions. Like I was telling somebody before most stuff us mods do is just keep the cards, fight times and Stats ran. Do you guys want me to reach out. I know he'll be busy with Top Camp Badges and resetting bankrolls for our next season. Not sure how much time is involved in both. It'd make it a bit more appealing on here if there where a couple more heavyweight camps. I think lowering the member count would be good....only if it's not too much trouble. Looking at the number of members in camps I’d say LW 2-5, MW 6-10, HW 11+. Ok I think that's something we would generate a poll and see how the overall community feels. I'll send a couple PMs out later this afternoon and see how the poll will work. I think it's cool having all the actual division from lightweight to heavyweight, But with the decrease of players I think LooseCannon's right. We need to cut some divisions to make it more competitive. LW 2-5, MW 6-10, HW 11+, seems like a good spread to me.